GEORGE started his education at ECOLE SOUPERIEURE DES ARTS MODERNES in Paris and later moved to Los Angeles where he graduated with a BATCHELOR OF FINE ARTS in film and advertising from prestigious ART CENTER COLLEGE OF DESIGN. GEORGE‘s career started as creative director in film marketing with FOX, UNIVERSAL, MGM, WARNER and SONY as clients. GEORGE quickly became specialized in International film marketing and distribution techniques and launched DISNEY’s first marketing and distribution venture in Eastern Europe winning Best European Marketing Campaign for CONAIR . Mr. LASCU executive produced CRY OF REDEMPTION a $ 10 million political thriller about the last days and execution of Romania’s dictator NICOLAE CEAUSESCU. Next Mr. LASCU was Associate PRODUCER on GALGAMETH a $15 million DISNEY channel special effects spectacular from the makers of the 3 NINJAS trilogy. Mr. LASCU co-produced OZZIE a $7 million family comedy about a talking Koala, starring JOAN COLLINS and SPENCER BRESLIN , shot in spectacular locations in New Zeeland. Next Mr. LASCU produced RED SERPENT a 10 million action/thriller about the Russian Mafia, starring ROY SCHEIDER and MICHAEL PARE , shot in Los Angeles and Moscow. In 2010 Mr. LASCU developed and produced the action / thriller 5 DAYS OF AUGUST, a $20 million production starring : ANDY GARCIA, VAL KILMER and HEATHER GRAHAM, directed by RENNY HARLIN (DIE HARD2 , CLIFFHANGER). In 2014 Mr. LASCU co-produced WHAT ABOUT LOVE, from a script by DOUGLAS DAY STEWART – OSCAR nominated for AN OFFICER AND A GENTLEMAN, directed by KLAUS MENZEL, starring SHARON STONE and ANDY GARCIA. 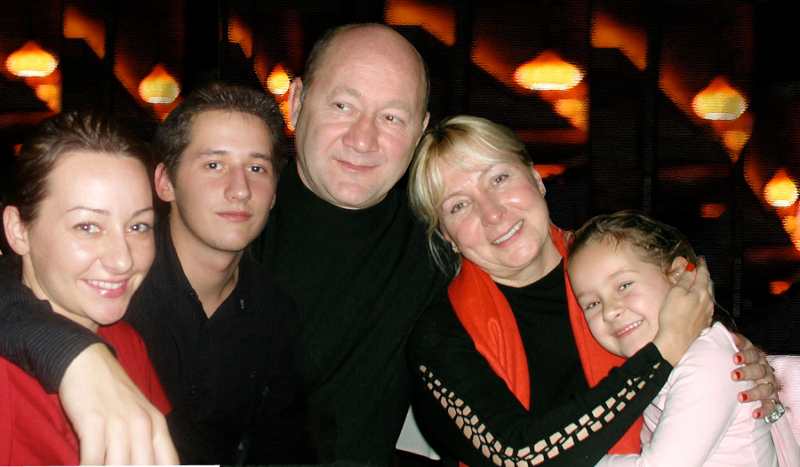 Familiar with production, marketing and sales, Mr. LASCU has founded REXMEDIA in 2000 . Based in Los Angeles , REXMEDIA is a full service development/production and international sales company. REXMEDIA built a library of 20 pictures by acquiring additional quality independent productions including the thriller THE PRICE OF AIR starring MICHAEL MADSON, cult picture SACRED CARGO starring MARTIN SHEEN and CHRIS PENN, spoof comedy MY BIG FAT INDEPENDENT MOVIE starring PAULY SHORE , the horror thriller ASYLUM DAYS starring C.THOMAS HOWELL, the CARMEN ELECTRA comedy SEARCHING FOR BOBBY’D and the teen drama CLOSE CALL starring JEFF FAHEY , 5 DAYS OF AUGUST starring ANDY GARCIA, VAL KILMER and HEATHER GRAHAM , WHAT ABOUT LOVE starring SHARON STONE and ANDY GARCIA, and in development from the producer of HBO’s ROME, FLYING TIGERS a WW2 epic action adventure.